It’s always nice to be told that you’re appreciated. You know how much you love that feeling, so why not make sure that your friends know they’re appreciated? 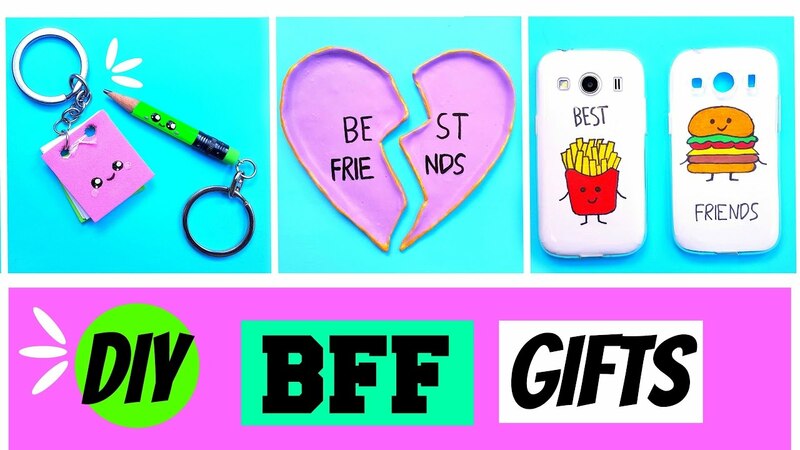 Whether it’s a birthday, a holiday or just a random day of the week, these gifts are sure to bring a smile to anyone’s face. The best part is that you can whip them up in a flash, with relatively no time or money. What an easy way to show your love! Print out a Insta photo of you and your best friend, and use it as a card for her birthday or just because! Everyone loves some fun room decor! Spell out your bestie’s name, her intials or Greek letters with these fun pom poms. 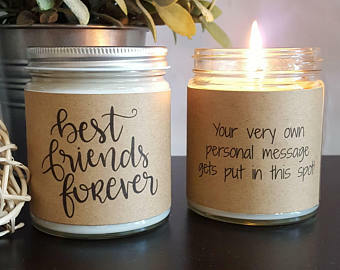 Print your best friend’s favorite inspirational quote or celeb on a candle that she can burn, baby, burn! You can really put anything you want on these adorable candles. Making these cards will take you back to your kindergarten days! Use white crayon and then water color over it to reveal your ~*hidden*~ message. Create a star lantern out of photos of you and your bestie—it’s sure to light up her life! Don’t let an old keyboard clog up a landfill. 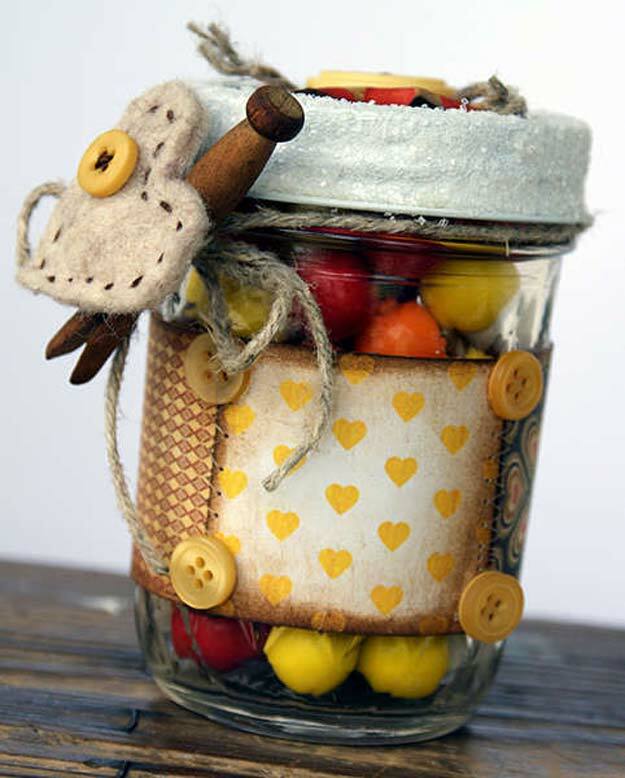 Take it apart, and create the cutest photo frame ever; all you have to do is add your message of appreciation! Don’t feel obligated to make it a keyboard pun, either. 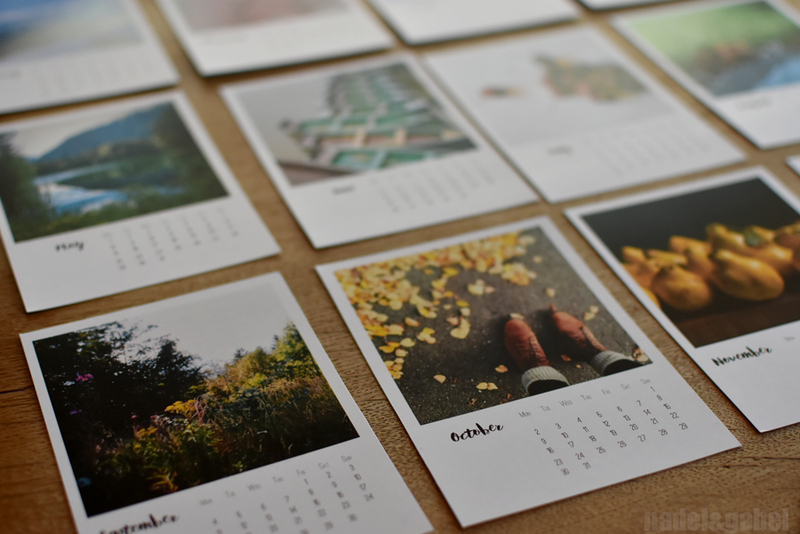 Use a photo of you and your BFF for each month and pencil in girls nights, your friendaversary and other important dates. Feel free to also write messages of encouragement and love throughout. Each of these balloons is attached to a photo. Just write a memory or affirmation on the back of the photos and surprise your bestie. Make sure your best friend always has a snuggly place to lay her head with this Doris Day-inspired pillow. Head to your local craft store to pick up some materials, and spend an afternoon making a gift that will probably make your bestie cry. A scrapbook is the perfect way to preserve fun photos and memories. Fill out little notes full of loving affirmations, funny drawings or inside jokes—anything that would make your friend happy! Modge podge some photos onto a wooden letter—the first letter of your friend’s name—and write a loving letter to her on the back. Make a bestie bucket list for your summer together, upcoming vacation or your remaining time in college. So many possibilities! We are pretty sure everyone has seen a rope bracelet before. 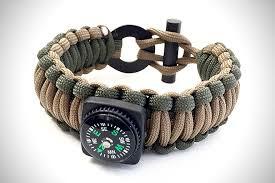 However, not many know about proper paracord bracelets. Even if you did see one, or even if you own one, you might not know why you should have it with you. Believe it or not, paracord bracelets are great survival tools. They are actually woven out of 550 cords. That means that the breaking strength of your paracord bracelet’s cord is 550 pounds. The “para” part of the name comes from the fact that this cord is what they used in WWII parachutes. Now that you know something about it’s name, it is time you found out why you should use it. Well, the first and obvious reason is that they are rather cheap, and they look great. But, that is not why you are here. You are here for the practical application. Namely, while it is around your wrist, it looks like a regular bracelet. But, you can unravel it and get up to 15 feet of incredibly strong rope. And, if you have any survival training, you know how useful that is. You can use the paracord for a variety of tasks in a survival situation. That includes fishing, setting traps for small animals, making a splint, or even building a shelter. Of course, we weren’t just going to say what they are useful for. We are here to help you out, after all. And to do that, we have made this list featuring some of the best paracord bracelets out there. 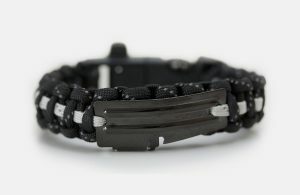 The Fitdom survival bracelet is one of the best bracelets you can find. The number of features it offers is all but incredible. Let’s start with the rope. Once you undo the weave, you actually get two reflective paracords. The black one gives you ten feet of 550 cord, while the white cord is only a foot long. But, make no mistake, that foot of rope can truly come in handy. Furthermore, the strap buckle features several useful tools. You can use it as a fire starter, a whistle, a P-51 can opener, and, as a scraper. Bear Grylls is a man who no longer requires introduction when it comes to survival stories. After all, he is the host of the most popular survival show out there. And, you can be sure that any survival tool with his name on it is great. This whistle bracelet will definitely come in handy in a survival situation. With this bracelet, you actually get 16 feet of 550-grade paracord. Not to mention that it also has an incredibly strong release buckle. 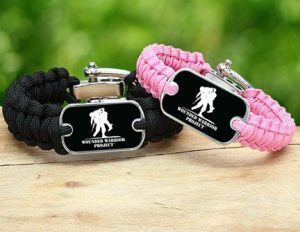 However, the single best thing about it is that the company that makes this bracelet will give you a free replacement if you ever have to use this bracelet in a survival situation. This stylish bracelet looks great and is incredibly useful. It also comes with the 550-pound paracord material, but it offers cool features on top of that. It has a fire starter, a scraper, and a knife. And, if you are ever in need of a rope, all you need to do is remove a bit of glue and unravel the bracelet.